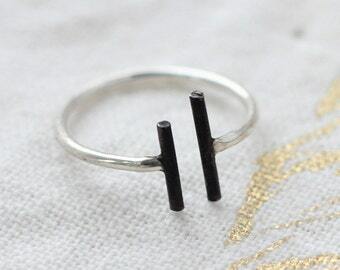 Simple and modern for your hand. 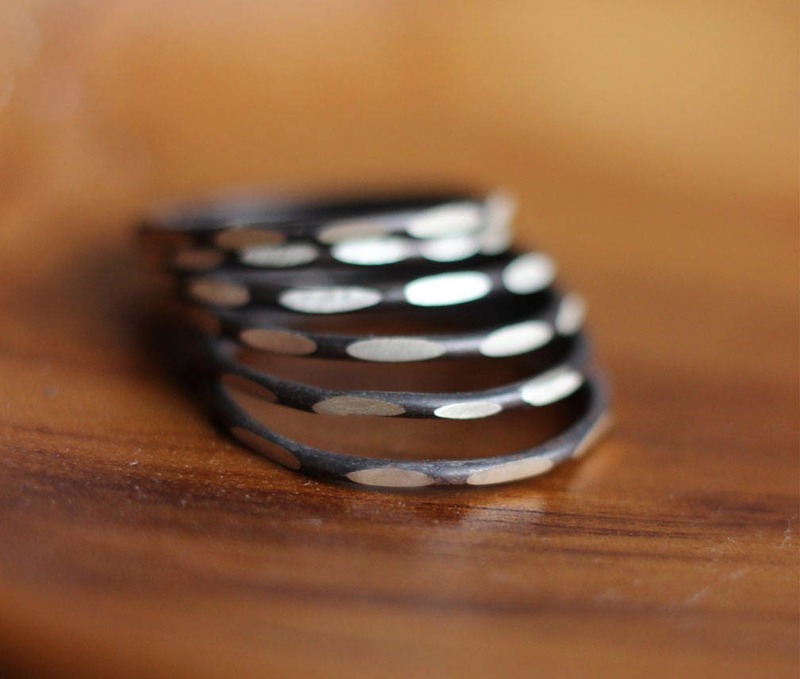 Wear alone or mix it with multiple stacking rings for a more graphic pattern look! 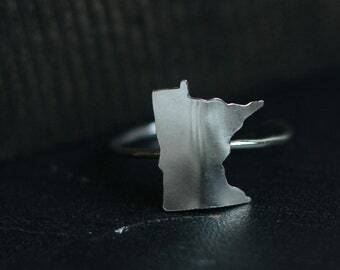 This oxidized sterling silver ring would also make a great keepsake for friends, mothers, or bridesmaids! This oxidized sterling silver ring is approximately 1 mm wide and features silver facets creating a pattern around the band. Choose quantity along with size! Very pretty yet edgy piece!